An area where towering stacks of jumbled boulders create a labyrinth in the heart of the park, Wonderland of Rocks can be explored both on short nature trails and more challenging backcountry routes. It’s within easy reach of both park entrances off State Highway 62. There’s more than Joshua trees in the park, and this area off Pinto Basin Road boasts a dense stand of cholla cactus . 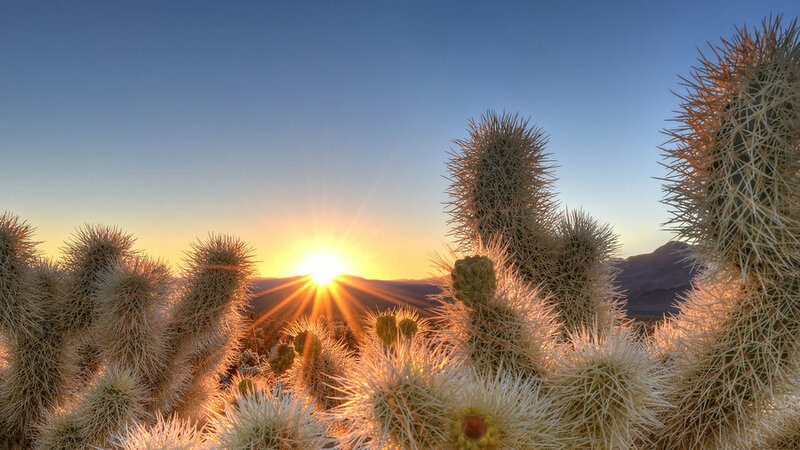 Especially when backlit, the needles give these cacti an inviting, almost fuzzy appearance—hence the nickname “teddy bear cholla.” But take our word for it: you don’t want to touch the cholla and discover just how sharp and hard-to-remove the needles can be. This spot at the Oasis Visitor Center is one of the park’s few verdant areas (the name means “the place of little springs and much grass”). Serrano Indians established a village here and today an easy nature trail leads past stands of California fan palms said to have been planted for these early inhabitants. 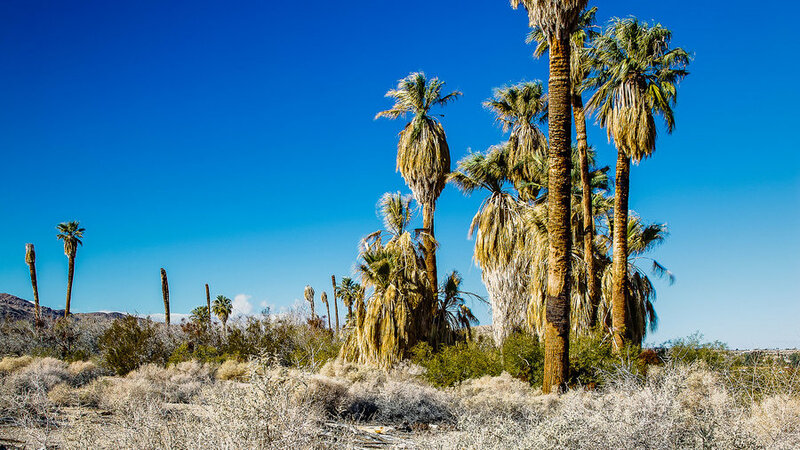 Although explorer John C. Fremont famously derided Joshua trees as “the most repulsive tree in the vegetable kingdom,” these grizzled looking plants that reach up to 40 feet-tall can be as beautiful as they are eccentric. You’ll see them growing on mostly level, well-drained areas throughout the park at elevations from 2,000 to 6,000 feet (the Black Rock Canyon area and Queens’s Valley have some of the best stands). Given the right conditions, Joshua trees put out clusters of gorgeous white-green flowers from March into April. Mormon pioneers gave the plant its biblically-inspired name because the trees’ limbs reminded the settlers of Joshua’s upraised arms as he beckoned his followers. 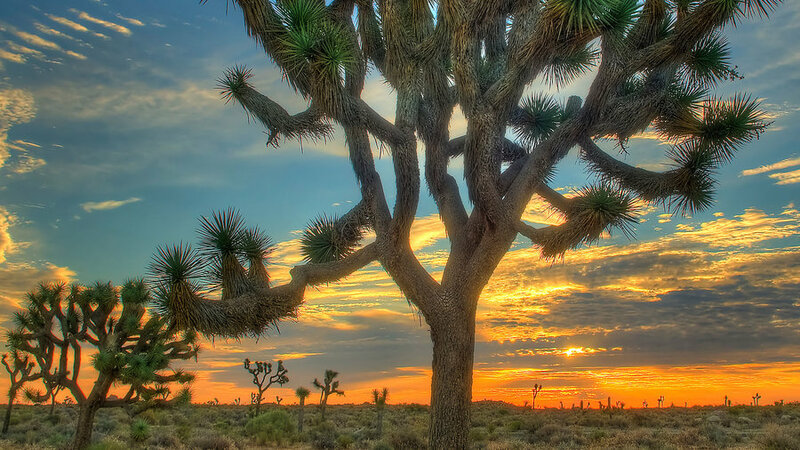 To convey the mystical, searching themes of the songs, U2 named its most famous album The Joshua Tree, and although fans come to the park to find the location shown on the cover, the photograph was actually taken elsewhere in the California desert. 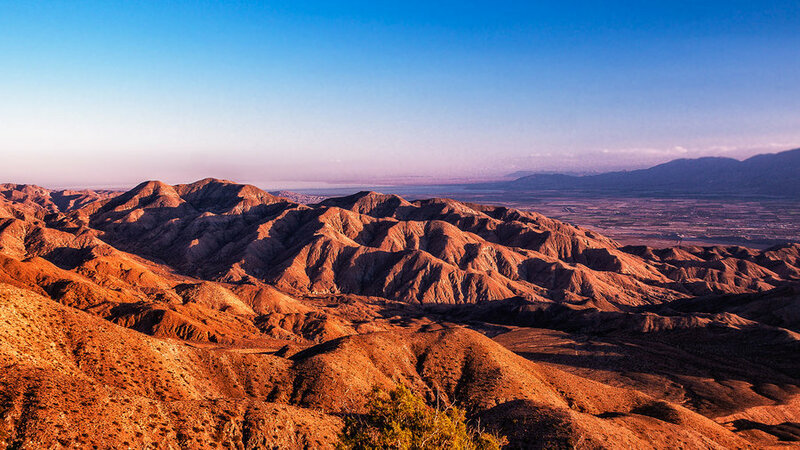 Along the crest of the Little San Bernardino Mountains, this overlook with its sweeping views of the desert near Palm Springs and some of Southern California’s highest peaks is accessible via a short loop trail. 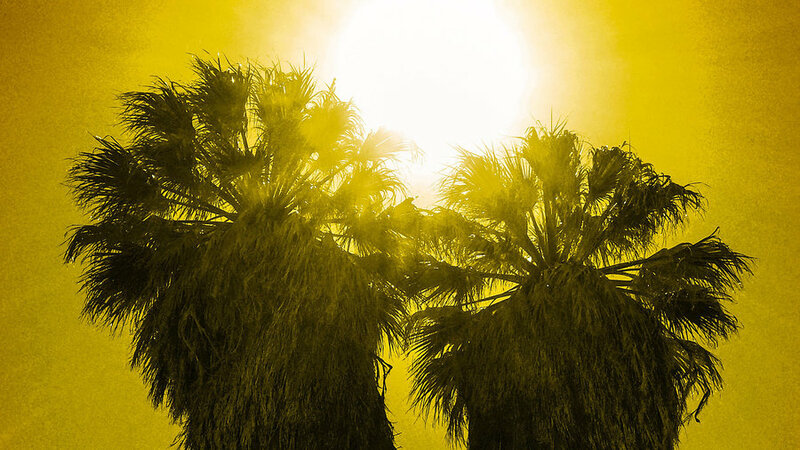 Looking like something out of a mirage, this isolated stand of California fan palms lets you escape from the rocky, sun-baked desert and into a cool, shaded, sanctuary where you can enjoy a picnic while listening to the fronds rustling in the breeze. 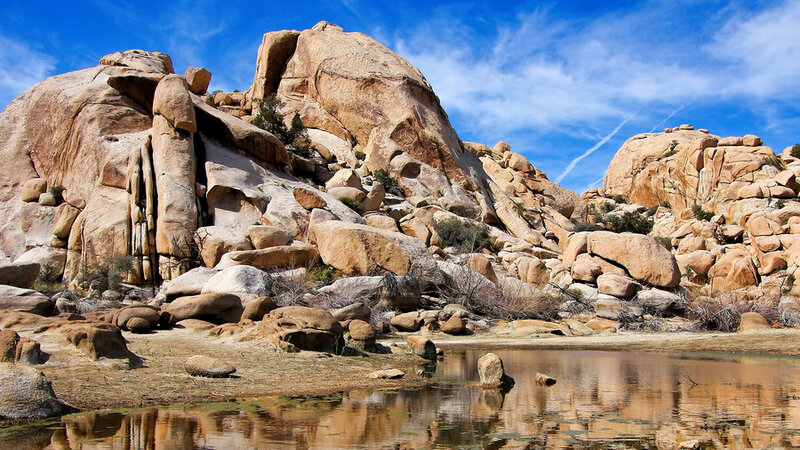 A prime spot for birding and the chance to catch glimpses of desert bighorn sheep, Barker Dam was built by a cattle company in 1902 and forms a small reservoir set among the formations near the Wonderland of Rocks. The dam is listed on the National Register of Historic Places and it’s a surprising and beautiful spot, accessible via an easy 1.3-mile loop hike that also leads to petroglyph panels. Ranger-led tours also explore the area. 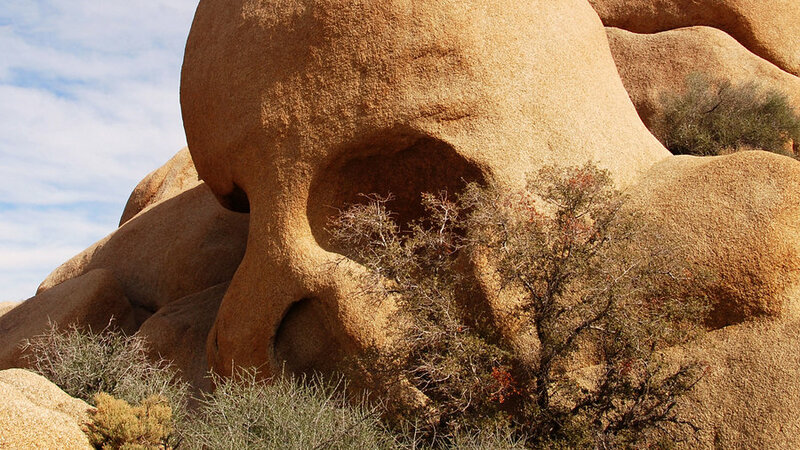 Although there’s no shortage of boulders in the park, few are as distinctive as haunting Skull Rock. The formation definitely lives up to its name, thanks to its rounded shape and a pair of shallow caves that resemble eye sockets. You can drive right up to Skull Rock or follow a 1.7-mile nature trail in Jumbo Rocks Playground. A haven for both early Native Americans and then cattle and horse rustlers who took advantage of its seclusion, Hidden Valley is tucked into a bowl surrounded by high walls of boulders. 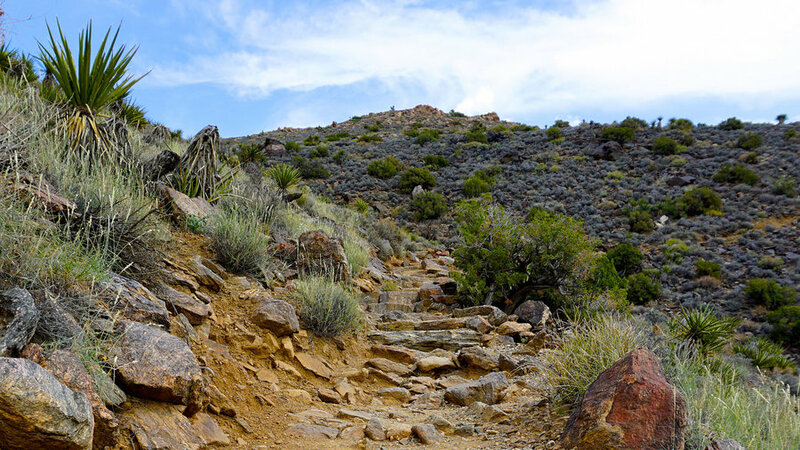 An easy 1-mile interpretive trail offers a look at the valley’s terrain and human history, and you might spot rock climbers. 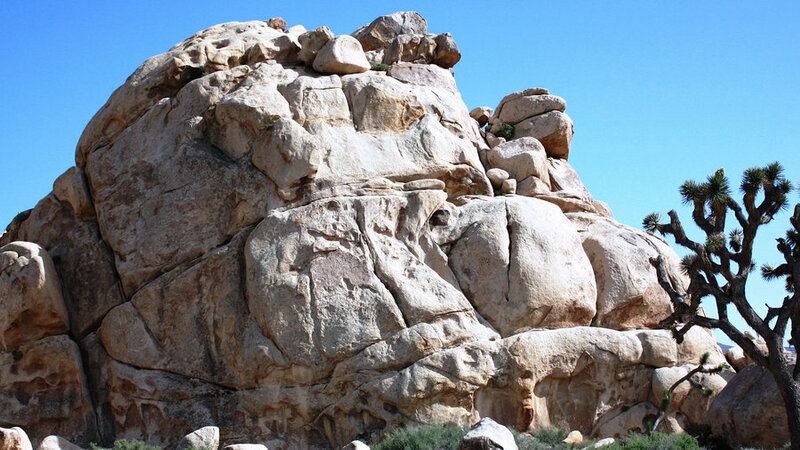 Nearby Hidden Valley Campground also has a number of top climbing routes. At 5,456 feet, Ryan Mountain is the park’s second tallest peak after Quail Mountain (5,816 feet). But while there’s no established trail up Quail Mountain, a well-built, if somewhat steep path leads to the top of Ryan Mountain. And because the peak is relatively isolated and rises up above the flats in the center of the park, it’s the perfect place to get an overview of the surrounding terrain. 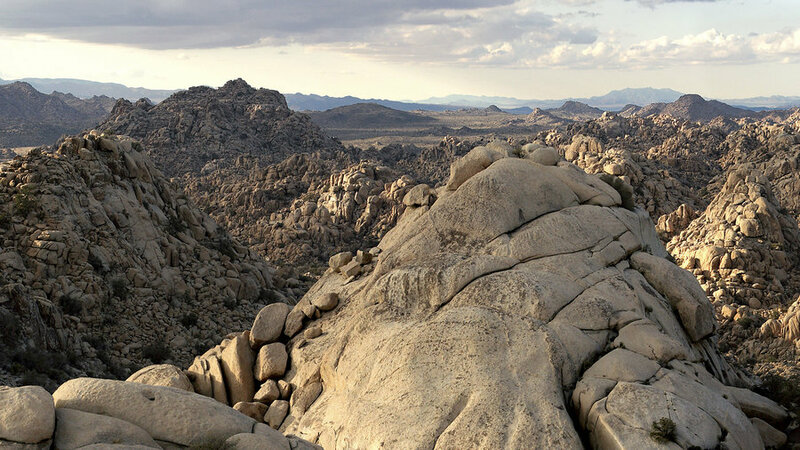 Best Activities in Joshua Tree N.P.